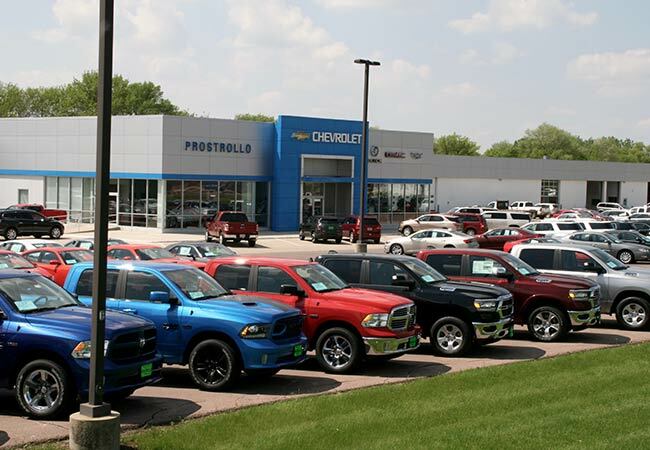 Prostrollo All American Automall serving Madison SD is your new car dealership! Home of the White Buffalo! Welcome to Prostrollo All-American Automall, the home of the White Buffalo. 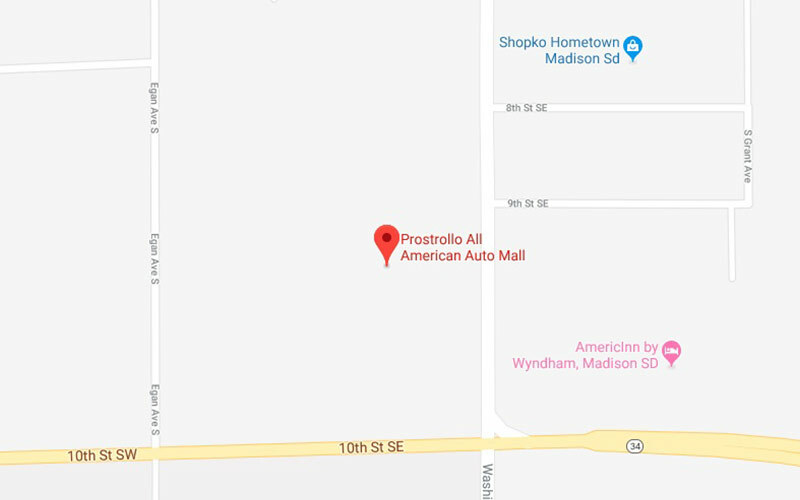 Whether you are in need of new or used cars, trucks, vans, SUVs, or crossovers, vehicle repair, reconditioning, or body work... Prostrollo All-American Automall in Madison, SD, is here to help you find the vehicle that you have been searching for! The White Buffalo is the trademark of Prostrollo All-American Automall in Madison, South Dakota. On public display in front of their dealership is a fiberglass replica of the most famous white buffalo ever born, Big Medicine. Their huge white buffalo stands 12 feet tall, is 20 feet long, and weighs 2000 pounds. It was built in Sparta, Wisconsin exclusively for Prostrollo's and it's the only one of it's kind in the world. Prostrollo's chose the white buffalo to be their trademark as a tribute to our Western Heritage. No animal in the history of any nation has ever played a more important role than the American Buffalo. It was believed by the Plains Indians that anyone who gazed upon the white buffalo was a favored one. By using the white buffalo as a trademark, Prostrollo's wants their customers to feel that they are favored ones. Excellent, helpful sales and service staff! I have purchased 20+ vehicles over the last 8 years from Prostrollo Auto Mall and they take terrific care of their customers. Prostrollo's cares about you and your satisfaction after you leave the dealership, as well. Outstanding customer service! We were first time customers to Prostrollos and looking for a dealership that we could trust and believe in and they have not let us down. We could not be happier with the dealership and look forward to working with them more in the future. Our salesman was very nice and knowledgeable. We hope to do business with them in the future. Great place! The service department is awesome. My son just started attending DSU from Arizona. He had an electrical problem with his car and called me in Az. Not knowing anyone in Madison I called Prostrollo and spoke to Kip. He was awesome. They picked up my sons car at the college, took it back to the shop, and fixed the problem for half the price I was expecting. Being so far from my son, I am very grateful for their help and service. I love, love my vehicle!! The lights auto dim and brighten, the cruise control automatically slows me down. Thank you bunches!